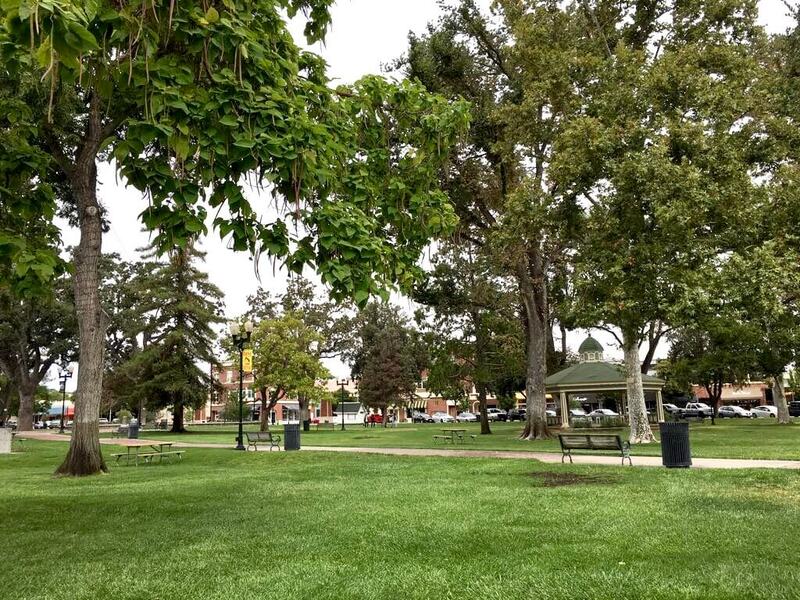 Downtown City Park, right across from the tasting room. 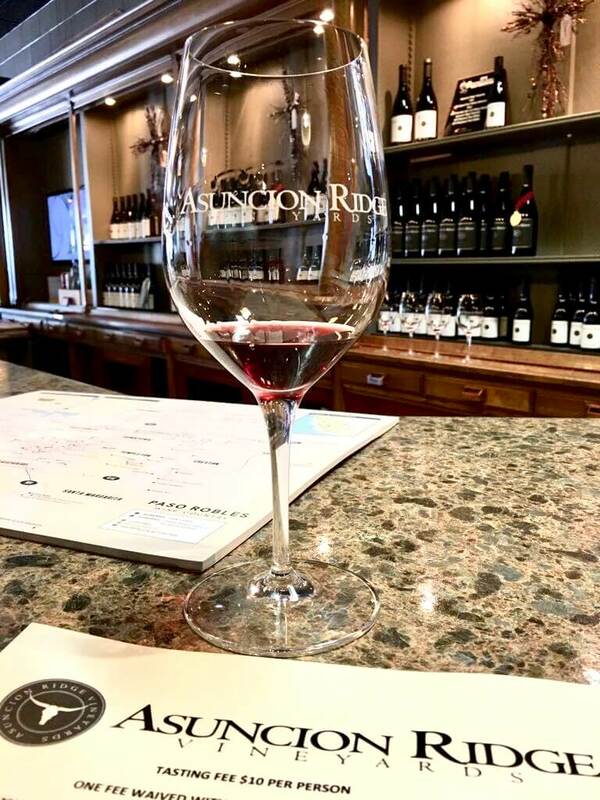 The Asuncion Ridge tasting room is one of 17 small production, boutique tasting rooms located in cute, downtown Paso. It’s right across the street from the pretty, Downtown City Park, with restaurants & shopping all within easy walking distance. Super convenient stop for wine lovers traveling with little ones. I know there are a ton of interesting, fantastic wines in Paso Robles. Asuncion Ridge happened to be a convenient stop, which turned out to be a perfect location for everyone. 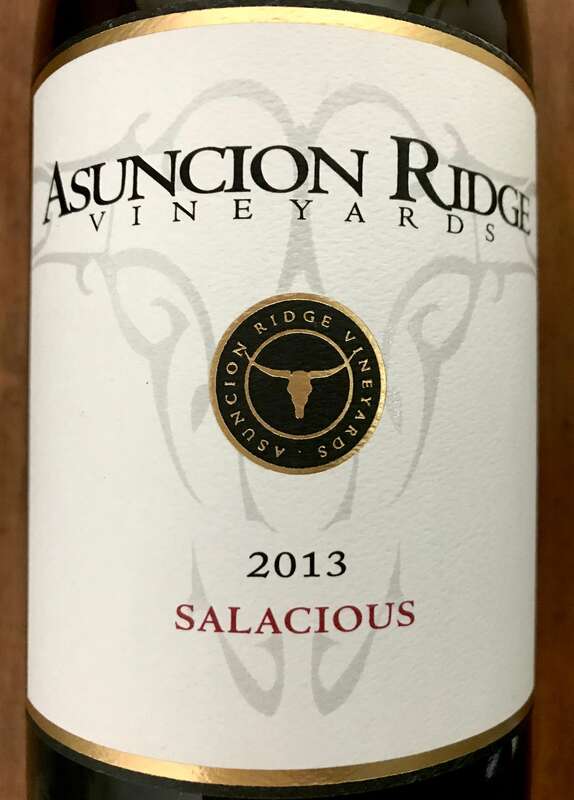 While their Viognier and Pinot Noir were also outstanding, the Salacious was a collective favorite. It had a full body but wasn’t too heavy or saturating. Lots of ripe, almost burnt fruit; raspberry, black cherry, all hugged by a hint of pepper and cola. There was a subtle earthiness to it, with velvety tannins, and an overall balanced taste and texture. You’d never know it was 15.1%, it wasn’t overly jammy like some higher alcohol reds (e.g. big, Barossa Shiraz). Definitely one of the better GSM blends I’ve tried. Cheers! wonderful post! Yeah #paso! I adore our little downtown park! I’d like to take more time exploring next visit & if you’re in town, I’d love to meet you in person! Cheers! That is my husband’s uncles’ winery! Salacious is one of our faves, as well as their Pinot Noir. I have never been there to visit them but we are planning a trip next spring. I’m looking forward to visiting the tasting room! He must be your favorite uncle-in-law;) Such great wine! Thanks for reading and cheers!